Find the best rate here: Booking.com - We use booking.com to find the CHEAPEST rates! By clicking this link and booking a night, I receive a commission at no additional cost to you! PLEASE support our blog and bookmark this link! :-) Thanks! For New Years 2018, we went to Hong Kong and toured around Thailand. 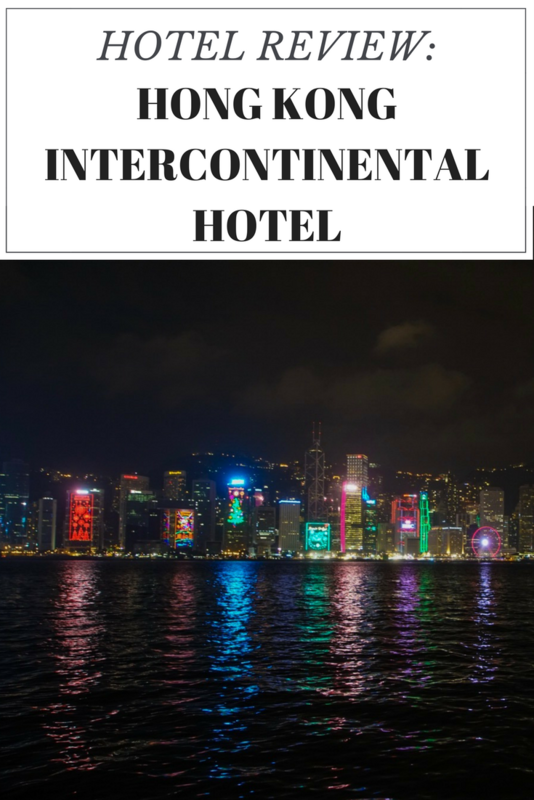 We love InterContinental hotels and the InterContinental Hong Kong did not disappoint. 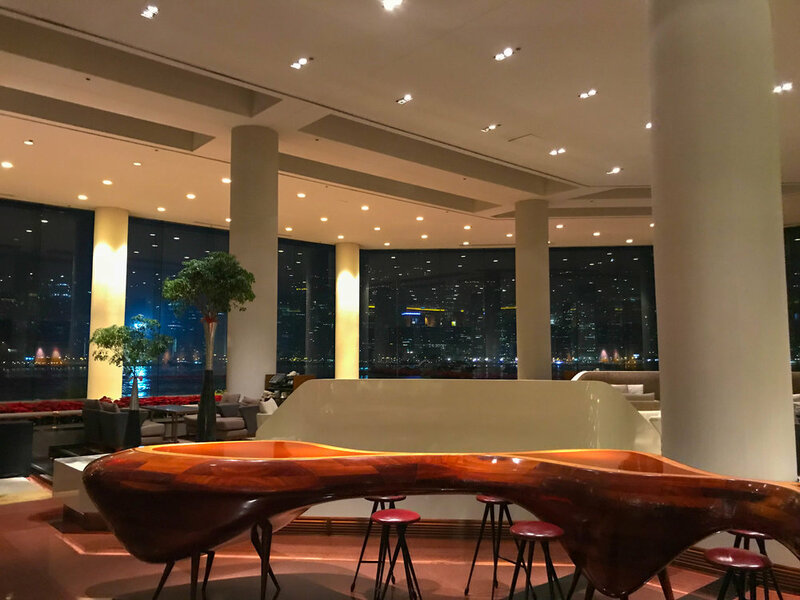 With spectacular views of the harbor and a prime location to transportation, shopping, and delicious restaurants, we couldn't have asked for a better hotel. We used our free nights with our IHG card and were upgraded to a deluxe room. There was plenty of room for the 2 of us! The bed was comfortable and warm, perfect combo of soft and firm. Although it did get a little warm with only a comforter provided. After 16 hours on a plane, I slept like a baby! The first thing I️ noticed was a spacious walk-in closet which I thought was a bathroom at first! Across from it was a nook that had coffee and tea as well as a fridge in the cabinet. On the desk they provided a cell phone that we could take around the city and use it as a hotspot for wi-fi or to make local calls. There was a USB outlet next to the TV that had 4 USB plugs to cover all of our electronic needs! The bathroom was fairly large as well decorated with a beautiful marble and included a tub and stand alone shower. The amenities were nice including everything from toothbrushes to shower gel. I loved their towels and robes! The towels were large and soft, lacking that hotel starchy feeling. The robes were similar, long and soft, feeling like a warm hug. There was a great selection of restaurants at the hotel. Most of them are (or have been) Michelin star rated! For breakfast, we went to the restaurant just below the lobby called Harbourside. We enjoyed their decadent buffet spread filled with anything you could have ever wanted. Egg station, waffles, 5 different kinds of cereal, donuts, croissants, fresh fruit, all sorts of juices, cured meats and cheeses, pot stickers, curry, Chinese dishes, EVERYTHING! They also had a menu that you could order dishes such as omelets and eggs benedict. The best part of the meal was the view of the harbor! For dinner, we went to the Steak House Wine Bar and Grill. This restaurant has been Michelin star rated and I can see why! To start they had an excellent selection of cocktails as well as a savvy wine list. The cheapest wine by the glass here was over $30 but it was delicious. The restaurant was dimly lit for mood lighting, luckily they provided light up menus to help find the best steak on the list! Our table was set prior to us being seated, which included a salt bar with 8 different rock salts to choose from! We put salt on everything! I like putting salt on the butter for our bread and on our delicious steaks, we ended up trying all 8 kinds! We ordered the ribeye cap and Japanese wagyu, which is rare to find at home in Los Angeles. Every bite melted in my mouth. Both steaks were perfectly cooked, although if I had to pick one, I'd lean towards the Japanese Wagyu! For sides, I highly recommend the sous vied mashed potatoes and fabulous potatoes au gratin. The lobby was large and welcoming with tons of seating. The check-in desk was circular and in the middle of the lobby with the Concierge along the wall on the side. The bar off the lobby had a spectacular view of the harbor! Paid $100 HKD ($12.80 US dollars) at the station for train tickets took to Tsing Yi to change rails. 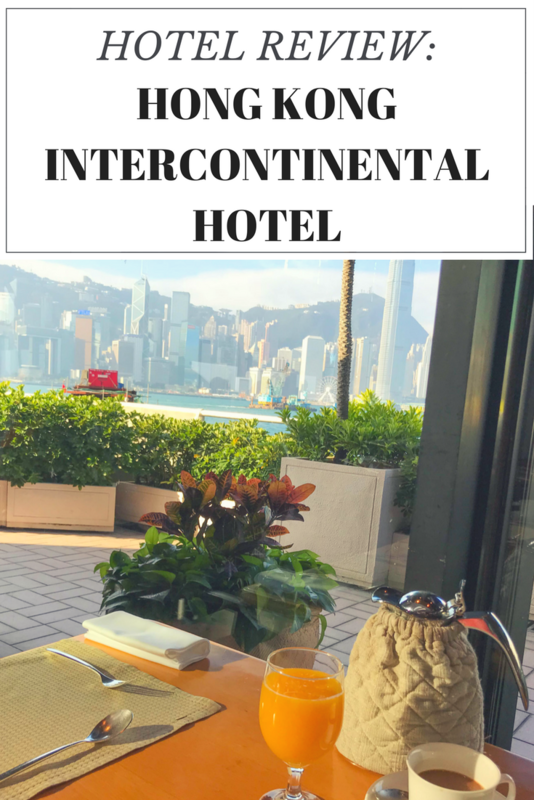 The station was right in front of InterContinental Hong Kong! Walking up to our home for the next few days I caught a glimpse of the skyline and Christmas was still being celebrated in the lobby with a gorgeous tree and giant nutcrackers. Our hotel got us a cab which was $270 HK dollars (about $35 US dollars) and at 5am it only took 30 minutes to get to the airport. *This post contains affiliate links. If a purchase is made I receive a commission at no cost to you.